The Rivers governorship candidate of the All Progressives Congress (APC) in the 2015 general elections, Dr Dakuku Peterside has congratulated Chief Rotimi Akeredolu, SAN of the APC for winning the Ondo State governorship election. Chief Akeredolu defeated the candidates of Peoples Democratic Party (PDP), Alliance for Democracy (AD), Social Democratic Party (SDP), among others in a keenly contested election that has been adjudged free, fair and credible. 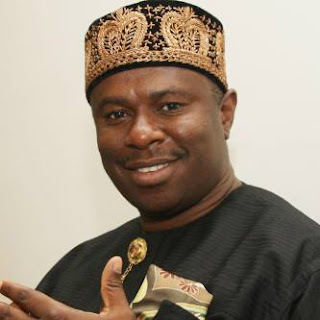 Dr Peterside, who is also the Director General of Nigerian Maritime Administration and Safety Agency (NIMASA), repeated for the umpteenth time that the APC would any free, fair and credible election devoid of violence and intimidation because of the credibility of its candidates and general acceptance of the party. He called on the governor-elect to be humble in his victory and see his emergence as the wish of Ondo State people to chart a new course in the realization of their hopes and aspirations. “The people of Ondo State have spoken in loud and clear voice. They have chosen the candidate of their choice in a free and fair manner. I have always said that APC will win any free and fair contest. I congratulate the people of Ondo State and Chief Rotimi Akeredolu for this victory. He urged the people of Rivers State to follow the Ondo State example during the December 10, 2016 rerun election and reintegrate into the mainstream of Nigerian politics so as to get maximum benefit from development programs at the centre.